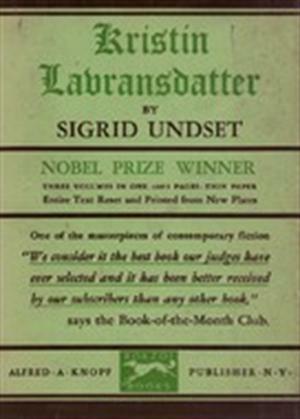 by Sigrid Undset | Literature & Fiction | This book has not been rated. Three volumes in one (The Bridal Wreath, The Mistress of Husaby, The Cross). Translated by Charles Archer (1927). Sent to svoight, who has more shelf space than I do. Received this 1001-Library book to free up shelf space for another member. The book is Available for check out for any Library member! Released to a fellow 1001-Library member, enjoy! Received in the mail from bookstogive of Springville, Tennessee. Thank you for mailing this book to me. I have already read this trilogy. It is currently available to any member of the 1001-library who would like to read it.